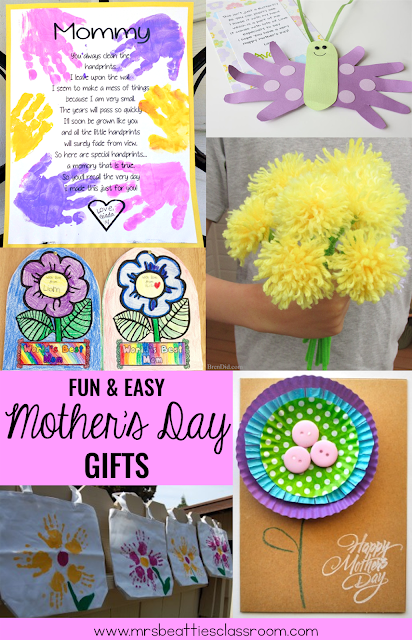 There are so many fun ways to celebrate Mom on Mother's Day and hand-made by kids is far better than anything store-bought. With a week to go, check out this awesome list of super Mother's Day surprises! This printable handprint poem is perfect for little fingers. Trace a child's hands to make this sweet little butterfly. This one also has an accompanying poem. Who wouldn't love receiving a bouquet that will never wilt and die?! These are awesome! Give Mom something she can actually use every day! These tote bags are adorable! These cupcake liner flower cards would be perfect for the lady who enjoys baking. Treat her to a spa day at home with these sugar scrub recipes! Anything with a child's photo is sure to be a hit! These little smiling flowers are precious! These cool necklaces look like glass enamel but are made with a washer! How clever is that?! What about serving up some art with her breakfast in bed? These ceramic plates are so cute! The kids will have a special place in Mom's heart AND her book with these fun little bookmarks! How clever!! I love this idea for repurposing an old jigsaw puzzle - you know... the one with the missing pieces? Take a peek at this easy little "We love you to pieces" craft. These salt dough fingerprint flowers would be a hit with any special lady! These personalized dotted Sharpie mugs would be so easy to make for Moms who love their warm beverages. 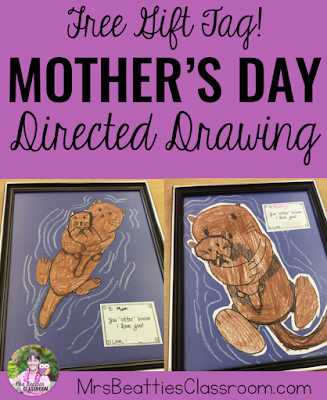 I hope you find something fun here in this list to share with the special Mom in your life! Check out tons of other ideas on this Pinterest board.